Resurrection Remix is one of the most popular ROM and comes with lots of features and customization. Now the Official Resurrection Remix Custom ROM is available for the Xiaomi Mi A1 users. 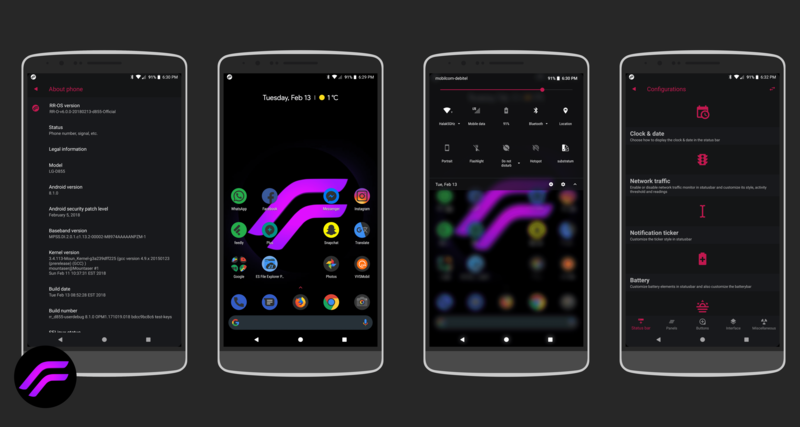 The best thing about the Resurrection Remix ROM is that it comes with an awesome combination of performance, customization, power and the most of the advanced features which you can find in the stock ROM of your phone. If you are the MI A1 user and want to install this Custom ROM on your phone, then here is the complete guide which you can follow on your install the Resurrection Remix OREO 8.1 ROM on the MI A1. The ROM is based on the latest version of Android 8.1.0. To install the ROM on your Mi A1 All you have to unlock the bootloader of Mi A1, Install TWRP custom recovery and flash the ROM and Google Apps zip files. The process is a little bit longer and takes some time neat about 10 to 15 minutes to install the ROM on phone. So let’s get started and Download Resurrection Remix Custom ROM for Mi A1. This guide is only for the Mi A1 phone users and don’t try this method on other Xiaomi Devices. Read all the steps very carefully and follow all the steps one by one on your phone. Warning: Technobuzz.net is not responsible for any damage that might happen to your phone during this process. You’ll lose all your data upon unlocking the bootloader. a) Unlock the Bootloader of your phone. b) Take the full backup of your phone. c) Make sure that your phone has enough battery above 80%. a) Download the Resurrection Remix ROM here. f) ADB and Fastboot drivers here. 1. First, install the ADB and fastboot drivers from the download section on your Windows PC. Now you will see the ADB folder on your Windows C Drive (C:/ADB). 2. Now download the TWRP image file and save it in the ADB folder that you created above. 3. Enable USB debugging and OEM Unlock on your phone. Below are the simple steps to Enable USB Debugging on Xiaomi Mi A1 in next few minutes. a. Go to Settings > About Phone. b. Find “Build Number” & Tap on it for 7-8 times. this will enable developers option on your smartphone. b. Now, Go to Developer options, Enable USB Debugging & OEM Unlock from the menu. 3. Now Switch Off your phone and boot in fastboot mode. Press “Power on button” + “Volume Down button” at the same time. You are in Fastboot Mode now. 4. Once you are in the fastboot mode, connect your phone to the PC with USB cable. 5. Open ADB Folder which you created above. Press Right Click button of a mouse by holding a Shift key. From the options choose “Open Command Window here“. 6. In the command window, Type the following code to unlock bootloader. If you already unlocked the bootloader then go to the Step 8. Now the bootloader of your phone is locked. 7. If your phone rebooted this time. Then again follow Step 3 to boot in fastboot mode. 8. Now its time to boot your phone in TWRP mode. Enter the following command to boot in TWRP mode. 9. Now your phone will boot in TWRP mode. Go to wipe, advance wipe, wipe system, cache, data, internal. 10. Now go home and Reboot to the bootloader. 11. Again boot the phone in TWRP with this command. 12. Copy these three files to internal storage. ROM zip file, TWRP zip file, Gapps zip file and Magisk manager zip file. 13. Now tap on the install button and flash the Resurrection Remix ROM zip file. 14. After that flash the TWRP zip file on your phone. 15. Now Reboot to recovery. 16. Now you are again in the TWRP mode. 18. Now flash the Gapps zip file and Magisk manager zip file one by one on your phone. 19. Now the last step. Reboot system. Now your phone will reboot and the first boot will take some time near about 5 to 10 minutes. Once the phone is booted up, set up your device and you can enjoy all the features of Resurrection Remix on your phone. 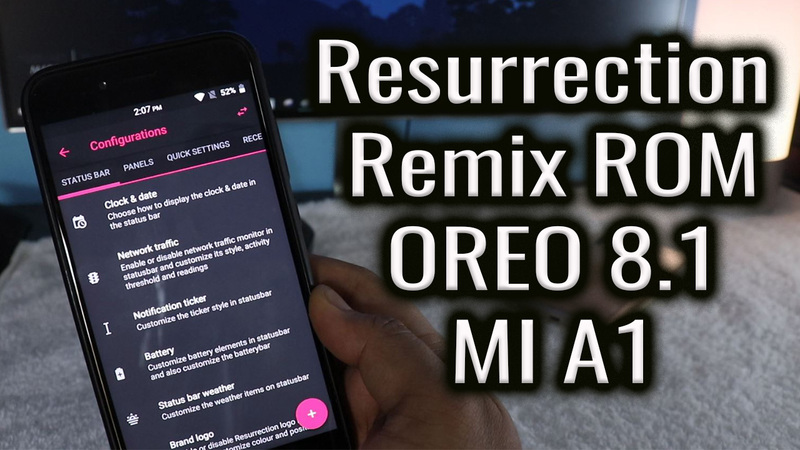 So this is the best way to install the Resurrection Remix Best OREO 8.1 ROM on your Xiaomi Mi A1. Hope you guys like this guide, if you are facing some problem with this guide then leave the comments below. We will help you to fix it up.